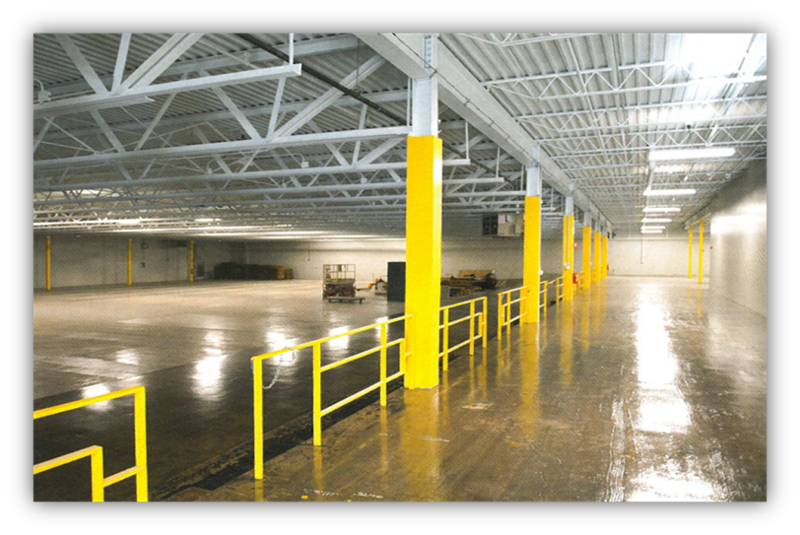 Renovating a building once used for storage and bowling alley to become their new headquarters as well as a processing operational center. Working closely with The Dalad Group, our Cleveland Design/Build team worked to follow as many LEED standards as possible, promoting a whole-building approach to sustainability. With trucks, tow motors, and various types of vehicles operating in and around the facility, the potential for off-gasing from petroleum base products and other materials was addressed by creating a demand-based ventilation system that ranges from 2 to 8 air changes an hour. Sensors were placed through the facility to recognize changes in the air quality and increase the exhaust fan velocity proportionately to evacuate harmful elements from the facility. The fans were designed to operate at low speed (12,500 CFM) on occupied times and in the event of a high chemical concentration being detected and sounding the alarm sensor, the fans engage in high speed (25,000 CFM) to quickly evacuate the space to a safe level for occupants.